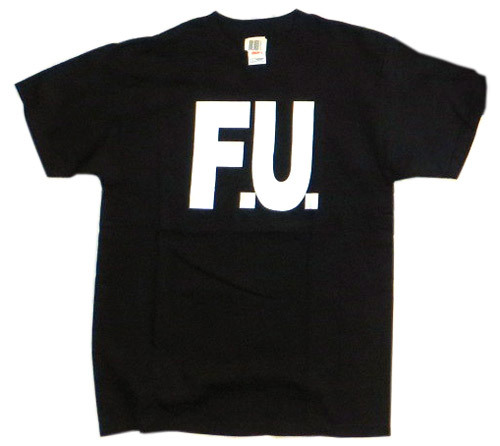 The F.U. t-shirt! You’ve seen them at rock gigs; you’ve said it to your boss behind his back. Now wear it like you mean it! Available only in black. Limited supplies. Wear it to the gym; wear it in the mosh pit; wear it to work; wear it to meet your girlfriend’s parents. Either way, the F.U. t-shirt means one thing – TROUBLE. Endorsed by Poffy The Cucumber. 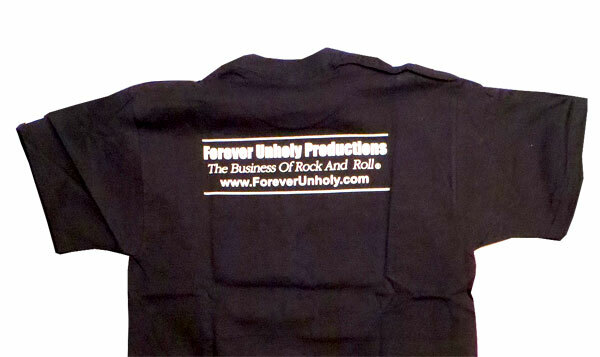 This high quality, full-cotton, durable, customized impact couture is created exclusively by Forever Unholy Productions, licensed by Jon Dunmore. Limited stock, so buy today – and WEAR IT LIKE YOU MEAN IT!